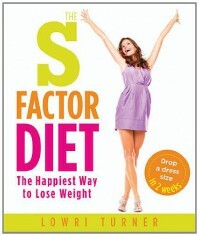 Lowri Turner, UK TV presenter-turned author, nutritionist and diet expert, has developed the S-Factor diet based on some of the latest scientific research. The idea is that we can change our diets to include more of the foods that make us happier (and healthier), and this will help us lose weight. Yes, I could do with losing a bit of weight (and not finding it again), so I liked the concept. The first section of the book contains an explanation of the effects of four key hormones—serotonin, leptin, dopamine and the adrenals—and a list of foods to eat to boost each hormone. There was also a series of questionnaires to help readers decide which hormone/s they are low in.It then moves on to specific meal plans and recipes for the three phases of the diet: fast fat attack, steady weight loss and maintenance, with a different version of the diet and different recipes for each hormone focus area. This, for me, is where the concept falls down. Many of the recipes are family meals because “dieters are more successful when they can prepare the same meal for everyone”. First, this seems to contradict the idea of focusing on your specific S Factor diet requirements, as they may not be the same as those of the rest of the family (my husband and I have very different eating preferences, and I’m sure we wouldn’t have the same hormone needs). And while I don’t feel my family are especially fussy eaters (teenage daughter excepted), there are very few recipes they would all like. No, Lowrie. Not everyone likes Chicken Tikka Masala. But what really got me was the preparation and cooking time: one of the breakfast recipes took takes two hours to prepare and cook. I don’t think so …My final issue was with the maintenance section of the diet. Turner says to aim for 1500-2500 calories per day, but doesn’t give any guidance as to how an individual (me) should determine an appropriate daily calorie intake. This is important: if someone has a daily calorie requirement of 1500 calories per day instead eats 2500, they will gain around 1 kg per week. There were also some issues around formatting, which made some of the recipes impossible to read in my Kindle review copy – I hope the final copy is better. Overall, while I liked the concept, the eating plan and recipes don’t fit my family. I will adopt some of the principles of eating more of my ‘happy’ foods and see if that has an effect. 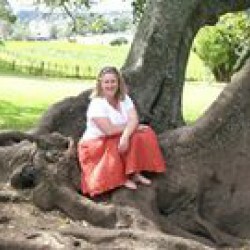 Thanks to Watkins Publishing and NetGalley for providing a free ebook for review.